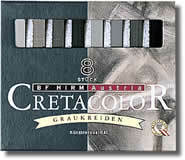 A set of 8 different shades of grey pastels. 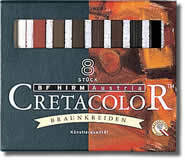 A set of 8 different shades of brown pastels. 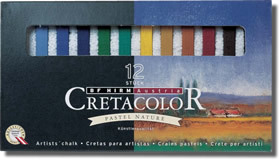 Set of 12 specially selected pastels for landscape painting. 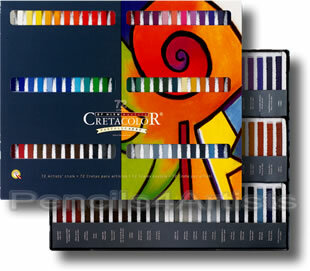 Set of 12 specially selected portrait colours. 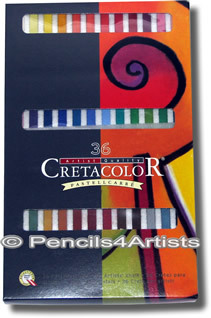 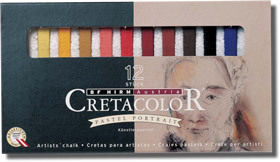 The whole range of the lovely Cretacolor Pastels in one box.